First published in Around the O on November 5th, 2018. 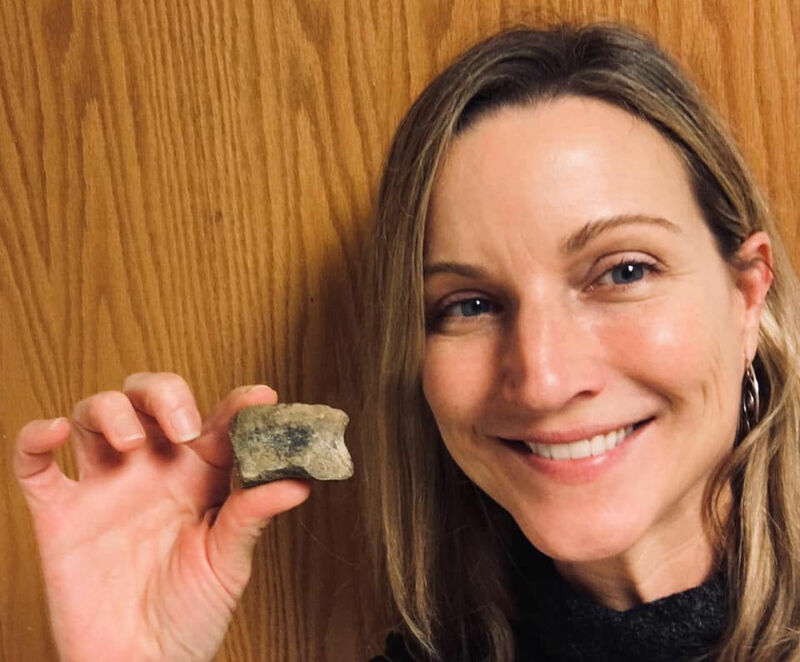 Paleontologists at the Museum of Natural and Cultural History have reported the discovery of a land-dwelling dinosaur’s fossilized bone in Eastern Oregon — an exceedingly rare find in a state that was underwater throughout most of the dinosaur age. The toe bone belonged to a plant-eating, bipedal dinosaur known as an ornithopod and is estimated to date back 103 million years to the Cretaceous, a geological period that also gave rise to Tyrannosaurus rex. Uncovered by UO earth sciences professor Greg Retallack during a 2015 field excursion near Mitchell, the find was published online in the Journal of Vertebrate Paleontology and is the first Oregon dinosaur fossil ever reported in a peer-reviewed scientific journal. During the 2015 trip to Mitchell, part of a University of Oregon course on fossil plants, Retallack and his students surveyed a shale slope on Bureau of Land Management property. There he spotted the toe bone amid an array of mollusk fossils preserved in the marine rocks. Views of the fossil from several angles. It was found on a field excursion near the Eastern Oregon town of Mitchell. Edward Davis, a co-author on the report and the museum’s fossil collections manager, said the land-dweller’s bone likely ended up there after a posthumous stint in the ocean. Based on comparisons with other ornithopods, the co-authors estimate that the Mitchell dinosaur was more than 20 feet long and weighed nearly a ton. The report was also co-authored by the University of Calgary’s Jessica Theodor and UO doctoral student Paul Barrett. Retallack said he doesn’t expect to find more dinosaur bones in Oregon marine rocks anytime soon. “But we are now looking more carefully,” he said.